CIMA is considered as one of the most recognized professional qualification in Sri Lanka. 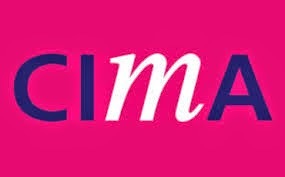 CIMA - Sri Lanka operates under CIMA - UK.Most of students are follow CIMA course for better career prospects and to follow internationally recognition course in accounting and management. Following are address and contact numbers of Institutes which conducted tuition classes for CIMA exams. Address : 33/1, St. Mary Road, Mount Lavinia. Address : 129, Dutugam Street, Colombo 06. Address : 15 B, Station Road, Colombo 03. Address : No: 84, Rahula Road, Matara. Institute for professional studies Batti(PVT) Ltd. Address : 32, 2/1 Galle Road, Dehiwala. 831 B, Peradeniya Road, Kandy. 39/2 2/1, D.S. Senanayake Mawatha, Colombo 08.